It's our thing. 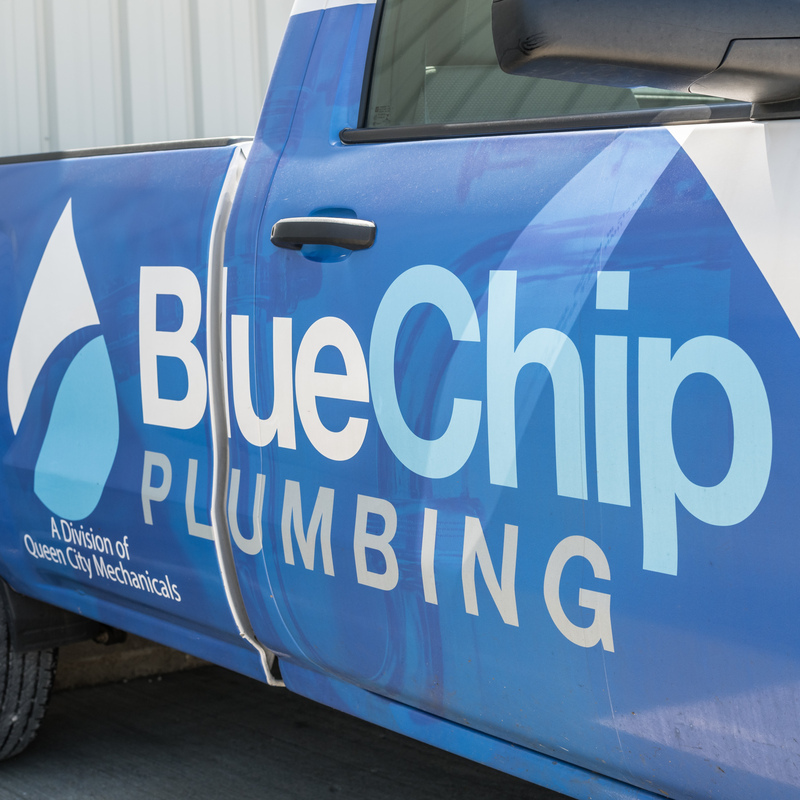 For over 35 years, Blue Chip Plumbing has been servicing residential and commercial plumbing systems in the Greater Cincinnati area. And we're equipped to handle large & small jobs alike. True to the definition of our name, we provide the highest quality plumbing service to our customers. Don't settle for less. Our technicians are licensed plumbers that have undergone background checks & drug testing. We offer continuous, technical and customer service training to our employees. Making sure we stay on top of our industry is our priority. Like Freebies? We do too. We can waive the trip charge on your next service call. Yeah, that's $40 you can keep in your pocket. It's true. From a leaky faucet to the installation of oversized, commercial equipment, we're equipped to handle it all. How is this possible? Read more about our company here. We have over 35 years experience in the plumbing industry. We know plumbing. And we know customer service. Don't believe us? Read what our customers are saying here. Oh, and did we mention we have an A+ rating with the BBB? You can rely on us after regular business hours, too. That's right, we run service calls after our office has closed. We know all to well that plumbing problems don't wait for normal business hours to wreak havoc on your home. Learn more about our after hours services here. Is there any plumbing service we can't handle? Doubtful. From minor repairs to major installs, we've got it covered. We had a gas line issue that came up and our gas was turned off. Blue Chip Plumbing was very responsive to helping us with our needs. Jay was very knowledgeable and worked hard to get everything fixed and get our gas turned back on. We felt very taken care of and every experience with them from the person taking the phone call to the plumber they sent to do the work was professional. It was a pleasure to work with them. Thank you so much for switching the dates so I could take my mother shopping. I can definitively recommend Queen City Mech/Blue Chip Plumbing. One of our Marquee accounts had a major plumbing situation that could have jeopardized the account of one of their largest clients. 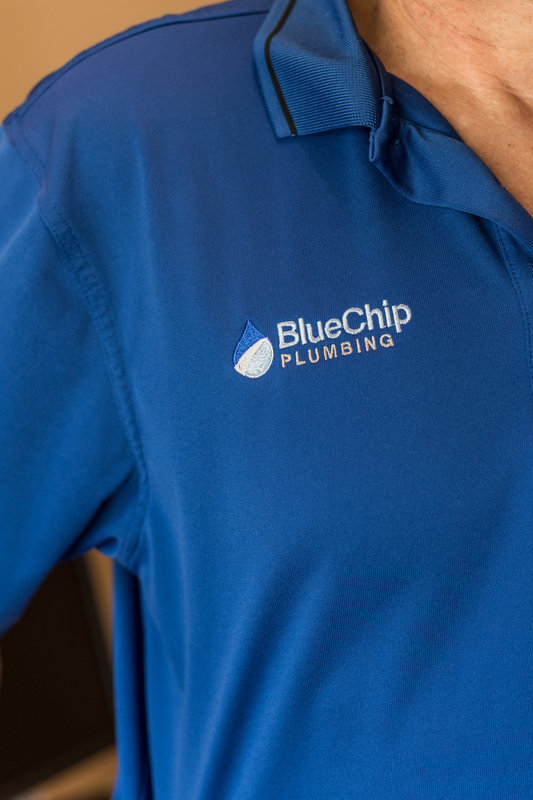 We reached out to Blue Chip Plumbing. Kelly & his team responded quickly, resolved the problem, left the place clean. Thanks Again, Blue Chip. token of my appreciation I am presenting to you, some awesome photographs of the space you helped create.